Bodyshop Baseball it is about so much more than just a game, we understand the values beyond the field. Each player is trained mentally, spiritually, and physically to help them reach their maximum potential. 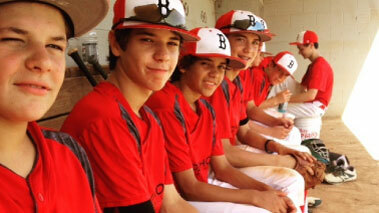 Bodyshop Baseball is not just a way to increase player’s ability on the field but it is a way to change their life. Our goal is to raise up Christian leaders that can reach their community. If we reach just a few, they can reach so much more. Our program is not about developing just a great baseball player, our program is about developing great men. Baseball is meant to be more than just a game, its is meant to change and influence lives. It is meant to teach kids about life and turn boys into men. Every player deserves the opportunity to not just be the best player they can be, but to be the best man they can be. Bodyshop Baseball is and always will be much more than just a game. The Bodyshop Baseball Pros Camp will be held on November 3rd and 4th for anyone between the ages of 8 - 15 with a $99.00 sign up fee.